Shelby and Rich’s wedding at the lovely Rancho Valencia Resort was a bright and sunny celebration, full of family, personality, and a whole lot of laid-back fun! Junebug member photographer Natalie Moser was there to document the whole beautiful day in style! Rancho Valencia’s historic orange groves inspired the citrus wedding color palette, and Shelby’s pink floral shoes inspired adding a splash of pink. I adore the wedding party’s fashion combination of yellow bridesmaids’ dresses and tan and white groomsmen’s suits- they couldn’t possibly look more summery and sweet! The outdoor wedding ceremony was kept short and simple, and was conducted by a dear family friend. Shelby and Rich wanted their wedding to be a reflection of their personalities and they were thrilled with all the help and participation they received from family and loved ones. Besides being all kinds of fun (as you can clearly see in the images below! Love it! ), the wedding reception was also extremely touching as many special people made toasts to the couple, and read letters and e-mails aloud from Rich’s family back in South Africa who couldn’t make it to the event. Thank you for sharing your wedding with us all Shelby and Rich! What a treat! To learn more about this Real Wedding and the wedding professionals who helped make it happen, please visit our Real Wedding library! 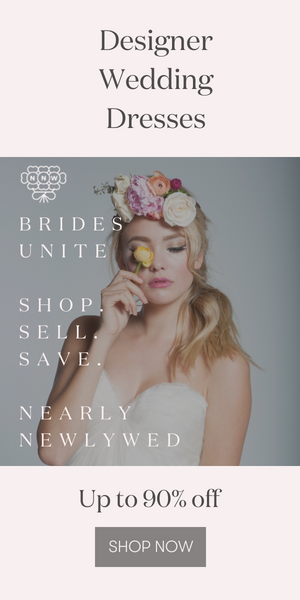 To plan your own Southern California or Seattle area wedding, be sure to check out our Plan Your Wedding section for a list of the very best vendors around! Love this wedding! The parasols look so pretty and I love the photo of the guys with their shadows in front of them. Stunning lemon colour theme, beautiful on a sunny day. Fantastic photos, this looks like a very special wedding. Parasols add so much to the decor. I love the color palette, it’s bright and sunny without being over the top. The cake looked fabulous! Where did you get the suits? ?